I wrestled with putting this in my portfolio because this wasn’t something I did to gain recognition or advance my career. 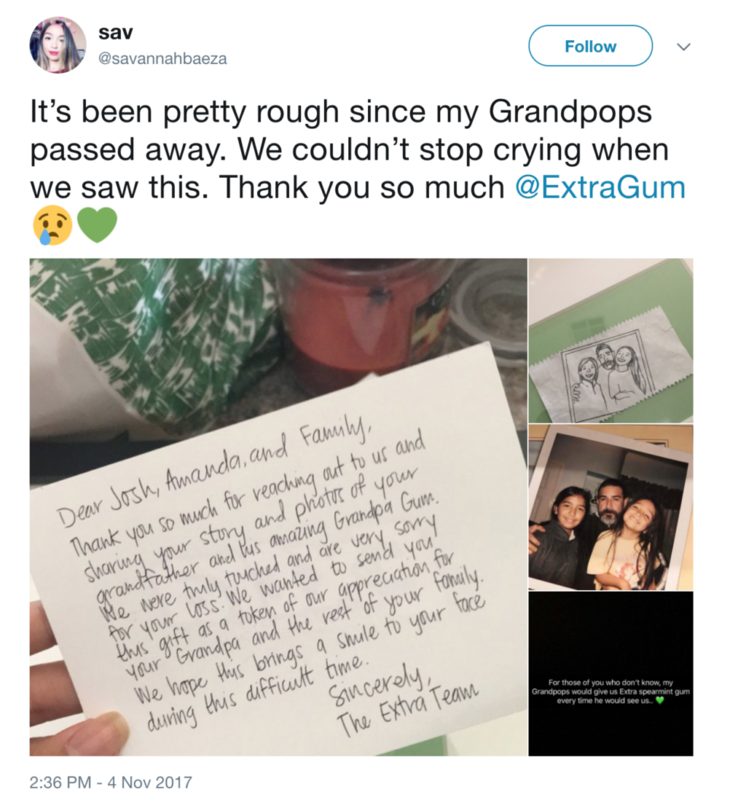 A grieving family reached out to us about their grandfather’s love for Extra Gum. 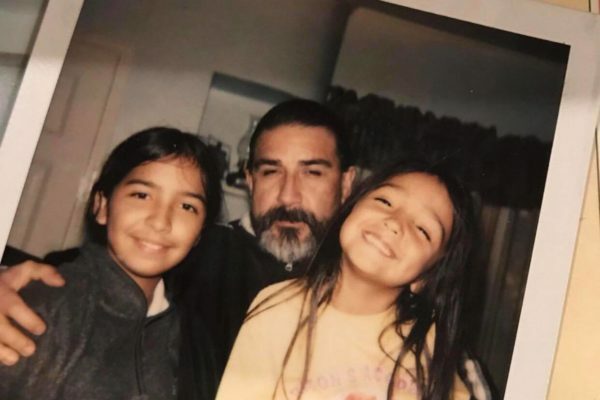 He had recently passed away and the family let us know that Extra Gum was one of the few things that brought them comfort during this difficult time. Our team was so touched by their message we decided to send them a little gift. 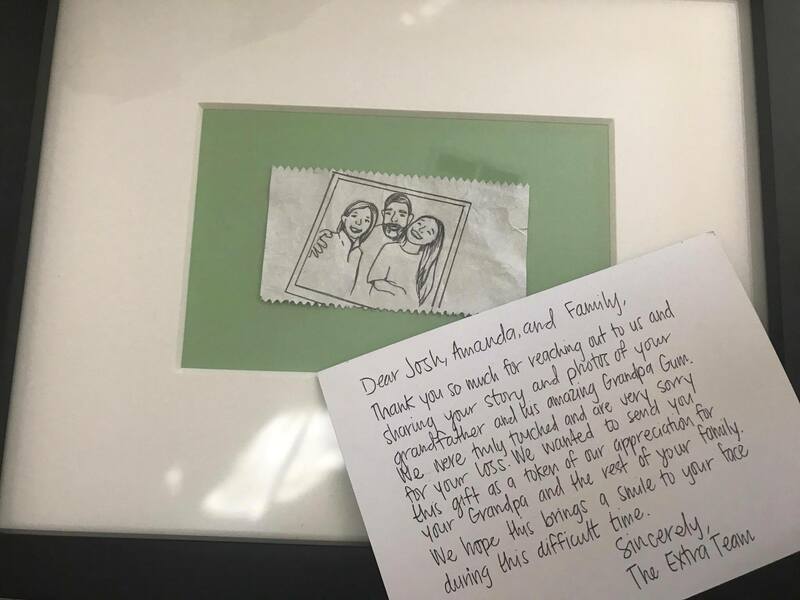 Leveraging Extra’s popular Sarah & Juan commercial , we took one of the photos that the family sent us and turned it into a framed drawing on an Extra Gum wrapper. 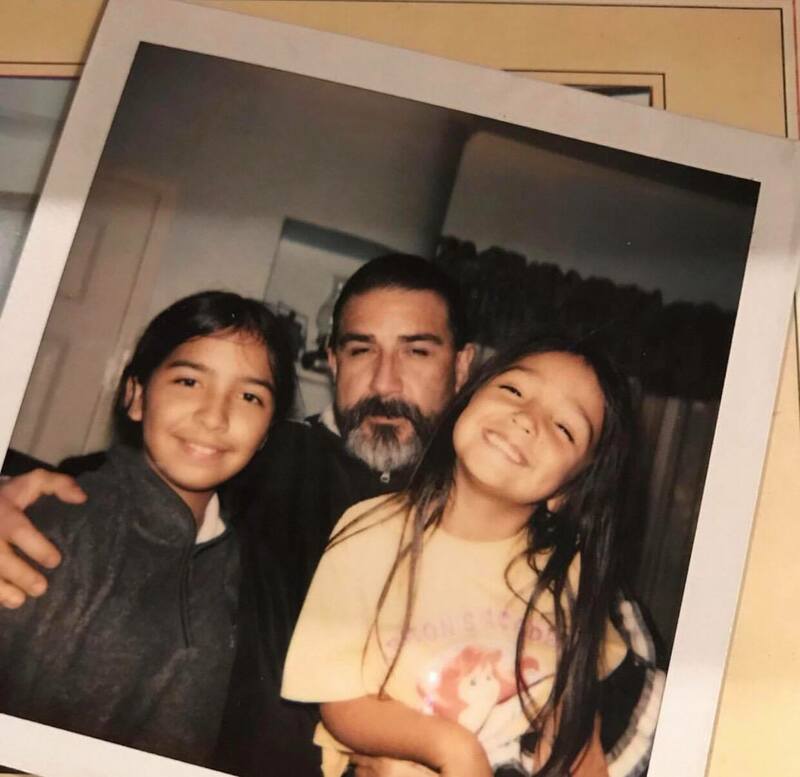 The family was so thankful for the gesture, they sent us this heartfelt tweet. 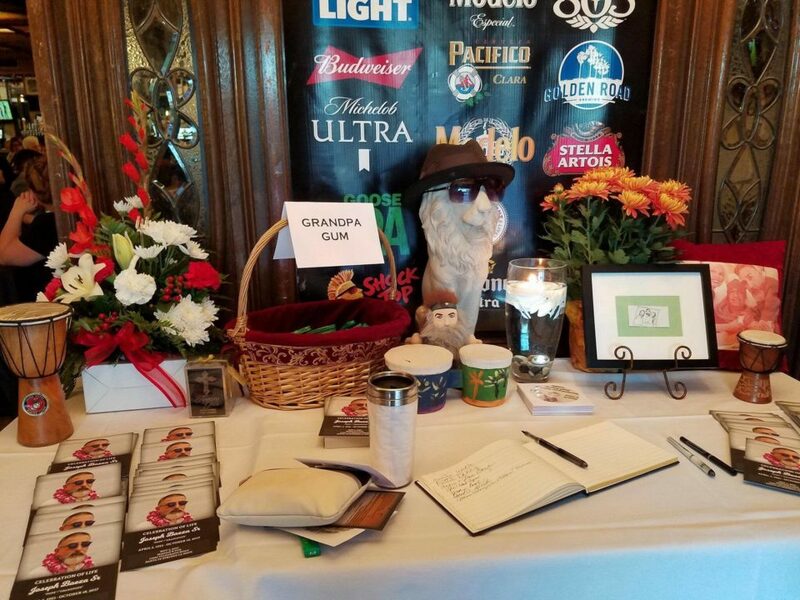 They even brought the framed drawing and gum to their grandpa’s celebration of life ceremony. Ultimately I decided to put this in my book because, quite frankly, it’s the most important thing I’ve done as a copywriter. 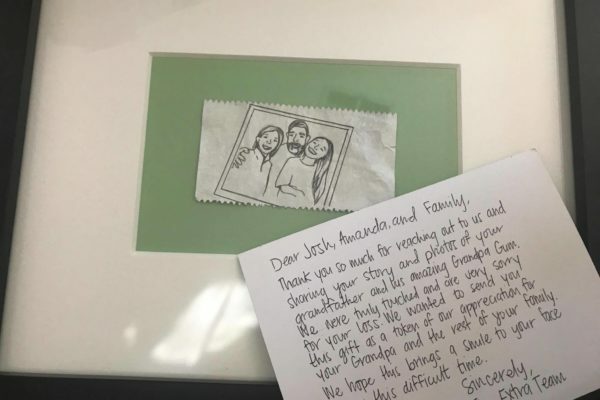 I’ve been lucky enough to work on some amazing projects for some great brands, but nothing has been as rewarding as being able to help this family grieve just a tad bit easier.